Get trusted surveillance solutions with the selection of 4 channel DVRs available at Direct Trade Supplies. These 4 channel DVRs are an excellent choice if you have a small security system in place with just a few cameras, and want to be able to view and record footage from each at the same time. Multi-input functionality allows you to back up the content as well as watch it on other devices, and many models even allow for remote viewing, so you can watch the footage from your smartphone or tablet. 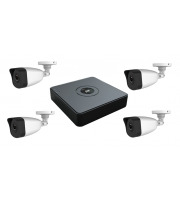 With live display, backup, recording and playback all available in one machine, 4 channel DVRs give you everything you need to ensure high quality surveillance of your commercial or industrial property. When it comes to finding top quality brands featuring the newest technology, you need look no further than Direct Trade Supplies. We carry top of the range 4 channel DVRs that allow you to capture images from four different cameras simultaneously, and enjoy a wide number of playback options. 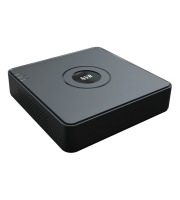 USB ports enable you to back up your programming onto an external drive, perfect for watching on different computers or sharing with colleagues or security teams. Zoom up to 8x on any area of your footage to see each frame of high-resolution images up close in detail. Many models come with a manufacturer warranty for added peace of mind, and when you order a DVR from Direct Trade Supplies, you know you're going to be getting a quality product at a great price. If you're working with a limited budget but don't want to have to compromise on the security of your property, 4 channel DVRs are the perfect solution. Affordable enough to work into your CCTV system, these powerful boxes feature all the newest recording technology to make it easier than ever to see what's going on both inside and outside your property. Simply configure the DVR to your CCTV system and enjoy plug and play capabilities, or you can set the DVR to record specific time periods such as overnight, a prime time for attempted intrusions or vandalism.